It is always an exciting time on a school campus when a new sport is added to the roster. The students who are participating feel the rush of establishing a program, while the other students and faculty are anxious to see how the new team performs. This could not be truer for the members of the girls’ volleyball team here at Gill as they embark on their first season. The idea of starting the volleyball program gained steam this past spring. 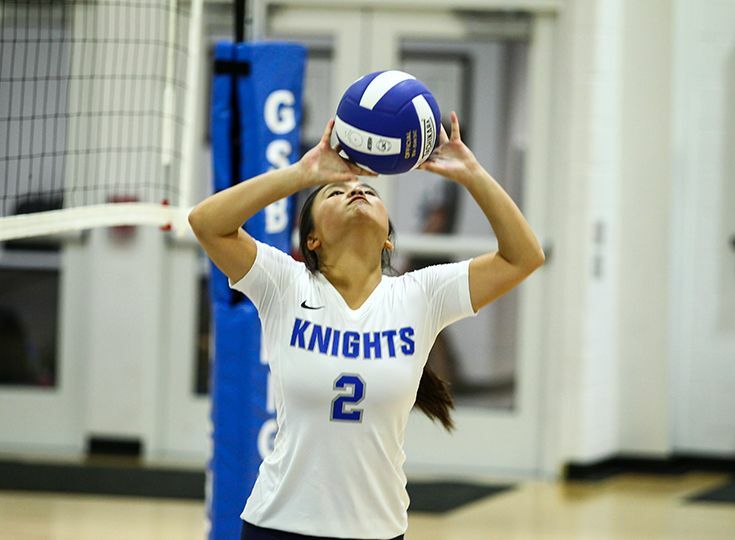 Upper School English teacher Mark Signorelli was a former standout player in the sport, and a few of his students expressed interest in creating a volleyball team at Gill. Soon after, the players started holding club practices to gauge commitment and skill level. It became clear that the enthusiasm and potential were there, and plans began taking shape for a JV team in the fall. So far, the Knights have gone up against Immaculate Conception High School, Kent Place School, and Immaculata High School. The squad has claimed one set among the three matches, a solid showing for a team that only a few months ago was an idea in an English classroom. More important, the Knights have laid down the framework for future student-athletes to grow the success of the program.